Courtesy of Points West, Inc., Cheryl Rennels. Driving directions: North on Hwy 287 to The Forks (Livermore). Turn left on 74E, Red Feather Lakes Rd. Take the second turn to Red Feather Lakes, County Road 67J. Follow it for 9 miles. There is a split log with 9878, turn right and follow road to improvements. 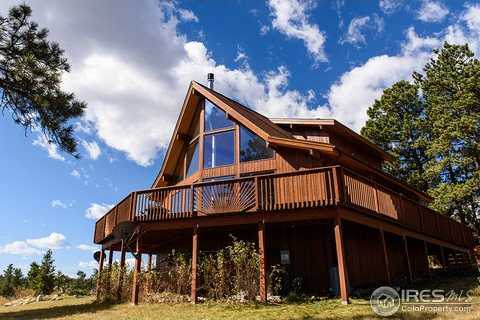 Please, send me more information on this property: MLS# 862881 – $549,900 – 9878 County Road 67j, Red Feather, CO 80545. I would like to schedule a showing appointment for this property: MLS# 862881 – $549,900 – 9878 County Road 67j, Red Feather, CO 80545.